Are you planning to visit Prague, and think you’ve already seen everything? 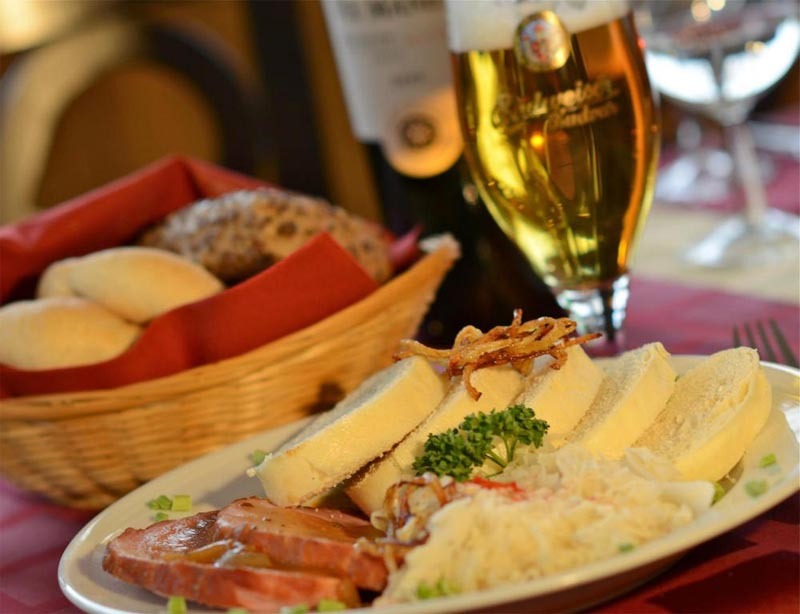 How about enriching your trip with a river cruise and a tasty dinner? 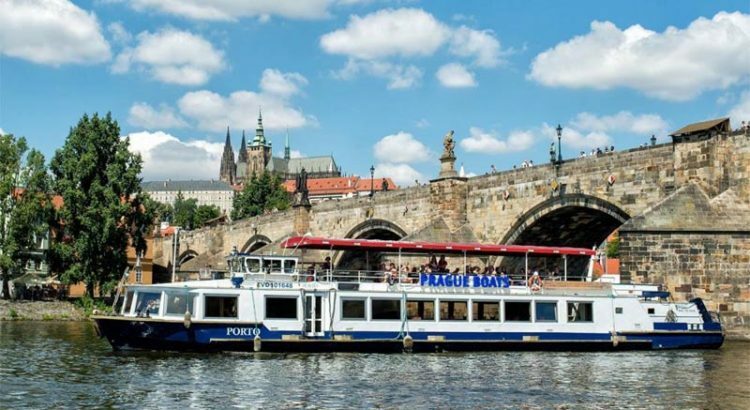 A boat tour in the night-time, fascinating illuminated Prague scenery, live music, the embellished board of the boat, and a delicious meal – it’s a guaranteed romantic atmosphere. 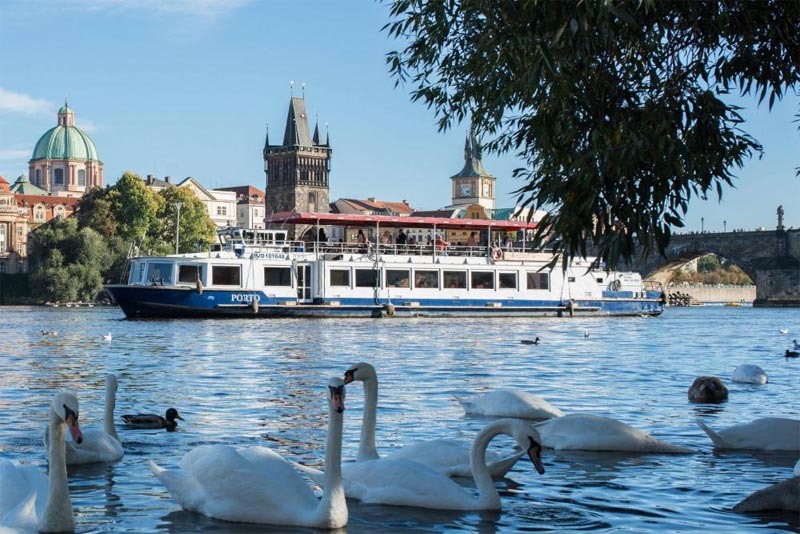 During the two-hour Vltava cruise, a buffet style meal will be served – all first-class. You and your partner’s comfort and satisfaction is guaranteed. OUR TIP Don’t forget to use our Uber promo code for free ride to get to the cruise starting point. After departing from Čechov Bridge, a view of Letna Park opens on the right side, behind which you can see the famous panorama of Prague and Prague Castle. Below the castle lies picturesque Kampa, and the first part of the voyage ends with an unusual view of the famous Charles Bridge and statues. On the way back you can see Mánes bridge on the right-hand side of the Rudolfinum concert hall, the Intercontinental Hotel, and the roofs of the Gothic St. Agnes. On the Štvanice island, you can look at the river lock. Here, the ship turns around and sails to berth at Čechov Bridge. Weather conditions: This activity is all-weather. The only exceptions may be cases of increased flood danger and gusty wind. Duration: The journey lasts two hours. Participants: This activity is for two people, and no spectators are allowed. Dress recommendation: There is no specific dress code on the cruise. All interior spaces are heated during cooler months.